Done painting. Once the bases are done, they should stand out a bit more. 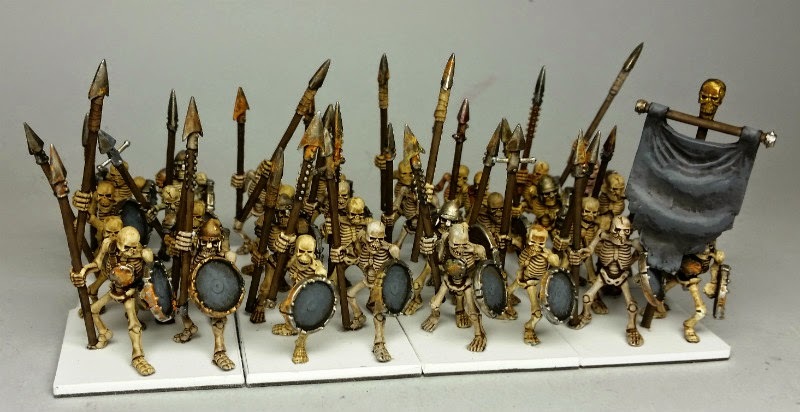 Also finished a few more skeletons again, so here's a pic of the entire group so far.